Summary: How to add a Russian (Cyrillic) keyboard to Windows XP. Select Settings - Control Panel - Regional and Language Options from the Start menu. In the Regional and Language Options dialog box, selecy the Languages tab and click the Details button in the Text services and input languages section. In the Text Services and Input Languages dialog box, select the Settings tab and check the Installed services section. If you do not see the desired language or keyboard layout, click the Add button. 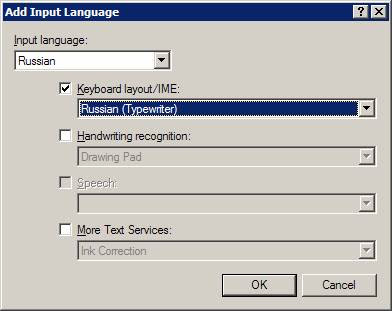 In the Add Input Language dialog box, select Russian (or the language of your choice), check the Keyboard layout/IME box, and select the desired keyboard layout. If you cannot touch type and don't have a standard Russian keyboard (with imprinted Russian letters), you can buy the keyboard stickers on eBay for less than $5 including shipping (I recommend transparent stickers). 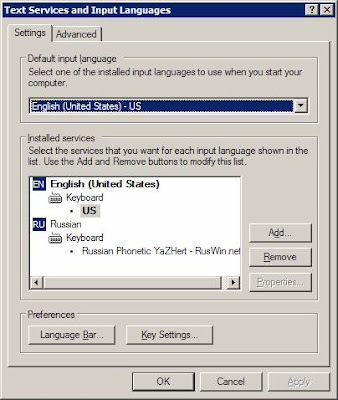 Option 3: Install Russian phonetic keyboard. If you cannot touch type on a standard Russian keyboard and do not want to mess with keyboard stickers, you can install a phonetic keyboard, which maps Russian letters to the keyboard keys with similarly sounding or looking English letters or characters. For example, a phonetic keyboard can offer the following English-Russian character mappings: A-А, S-С, D-Д, F-Ф, G-Г, H-Ч, J-Й, and so on. There are many versions of Russian (Cyrillic) phonetic keyboards, but I like the ones created by Paul Gorodyansky. 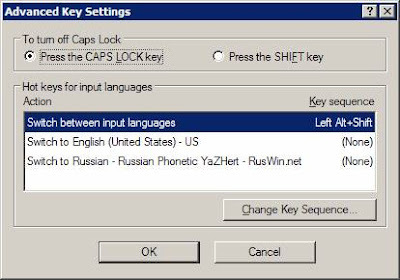 On his web site, Paul -- among other things -- explains how to install Russian keyboards on various flavors of Windows (the articles are available in both English and Russian). I found these articles very helpful, but the amount of information may be overwhelming. If you just want to install a phonetic keyboard, download the desired layout from the Download section of the Russian Keyboard and Typing Russian page. If you are not familiar with the Russian phonetic keyboard layouts created by Paul Gorodyansky, read the Install phonetic (transliterated, homophonic) Russian keyboard layout section first; this section shows the layouts of the three versions of the keyboards Paul built. I haven't tried the Student layout, but compare it with the other two and see if you like it better. Thank you for the helpfull info. no that virtual keyboard is very outdated - offers onlu mouse-based, tedious way of typing and offers only one, Standard layout. I use soft corporation virtual keyboard and it contain so many features. The opinions expressed in this blog may or may not represent the opinions of my employer.